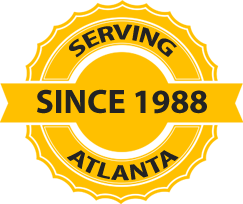 At AtlantaRoofing.Com we pride ourselves on our roof replacement and roof repair work. That’s why we only use the best products and brands available. We offer asphalt shingles for roofing in a variety of colors to ensure that you get the right roof to match your home. Traditionally asphalt shingles are a great and affordable choice for new roof installation or repair. They are the most common type of roofing in the US due to their durability, ease of installation, quality and affordability. There are many great color options to chose from, and it’s easily installed on architectural design. Affordable – asphalt shingles are one of the most affordable options for roofing. Low maintenance – asphalt shingles require little to no maintenance when installed by our professional roofing contractors. Easily repaired – should storm or other causes damage your roof, asphalt shingles are one of the most affordable and easy to repair.